Window management and multiple instances of the same app on MacOS is a disaster. I see a lot of overly complicated scripts suggested on-line. Like this one. "-n Open a new instance of the application(s) even if one is already running." If you use homebrew as your package manager, new apps are added to your $PATH. 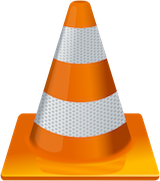 This allows the simple 'vlc' command in the terminal. At the end I use the '&' symbol to put the process in the background. The terminal can be closed but VLC will run in the background. If you want to see all VLC instances list them with 'jobs' and kill them with 'kill $[number]' depending on the 'jobs' number of the instance you want to kill.